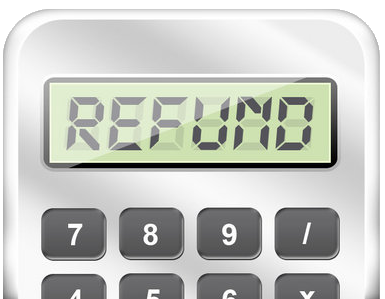 When will I get my 2013 refund for my 2012 tax return? This year the IRS started processing tax returns on January 30, so even if you got an early start on taxes, nothing would be considered before then. As of February 2013, the best-case scenario for getting your refund for 2012 tax return is as little as 14 business days if you submit your tax returns electronically although more realistic scenario is 3 to 4 weeks. In the digital age, the IRS decided to get on board and improve the processing time of tax returns and refunds. According to the IRS, 9 out of 10 refunds are issued within 21 days after receiving a tax return. If you file your taxes electronically like millions of other Americans, you can check its status within 24 hours. In contrast, if you file a paper return you have to wait approximately 4 weeks before you can expect any details on the status of your refund. It is crucial to have your tax return mistake free. The most common things affecting the speed of receiving a refund are errors and returns marked for additional review. Simple mistakes while entering a social security number or a date of birth can significantly slow down the entire process. How to check the status of your refund? The most efficient way to check the status of your refund is by visiting Where’s My Refund on the IRS website or directly from your phone using IRS2GO application. To obtain the information, you will need a copy of your tax return and provide social security number, filing status, and the exact refund amount you’re expecting. Where’s My Refund option on irs.gov only includes information with respect to the most recent return filed and cannot provide information about amended returns. By filing electronically and requesting a direct deposit, you can expect to have the refund in your account in as little as 8 days. Filing early not only lets you avoid last minute hassle, you also get your money faster, and help thwart one of the most common tax scams that involves stolen identity. Filing early, although not 100% proof, helps prevent others from claiming a refund using your personal info.